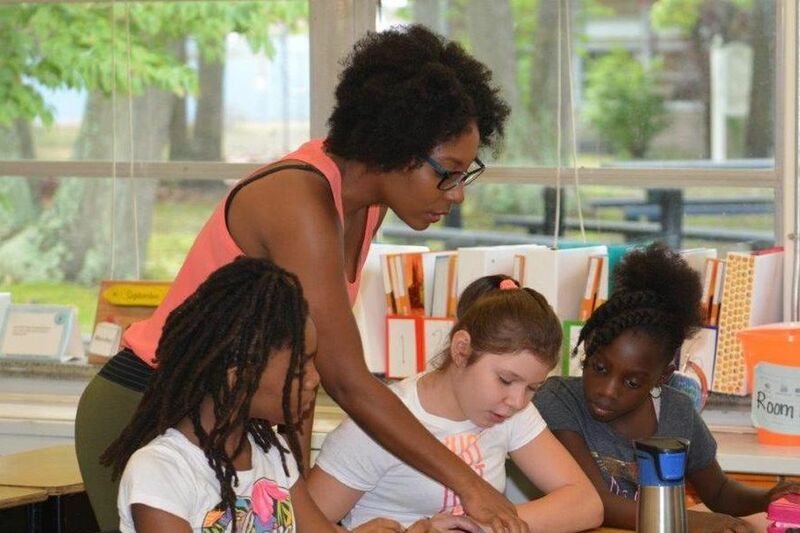 Burlington County teacher of the year Sherrie Wilkins at work. A study finds that segregation remains stubborn in New Jersey schools. For the first time, whites no longer constitute a majority in New Jersey's public schools, which are becoming more segregated, a team of researchers reported Wednesday. Students of all races in New Jersey are attending schools that are less diverse in recent years, a phenomenon tied to housing segregation, according to the study by the UCLA Civil Rights Project. In the 1989-90 school year, whites made up about two-thirds of the public-school population, the report said. In 2015-16, that figure was down to 46.6 percent, yet the typical white student attended a school that was more than two-thirds white. "New Jersey has moved another substantial step toward a segregated future with no racial majority but severe racial stratification and division," the report said. The segregation is related to geography rather than overt policy, the researchers said: "Segregation is mostly between districts, not within districts." "There's a lot of data that shows that, in a lot of places, municipalities are becoming more segregated," Ryan Coughlan, an assistant professor of sociology at Guttman Community College CUNY and coauthor of the study, said in an interview Wednesday. "And that's a central problem." The study said that during a time when schools have focused on funding and program inequalities, "segregation has gone unchecked." Coughlan said New Jersey could consider school district consolidation. The state has more districts (590) than municipalities (565). Coughlan said consolidation has worked elsewhere. "If you look at states, particularly in the South, most places actually have these countywide school districts, and the level of segregation in those spaces is much lower as a result of that," Coughlan said. Most districts' student populations match the demographics, Coughlan said. But only 1 in 5 districts matches countywide demographics. And fewer than 3 percent of districts come close to matching the state's demographics. Coughlan said the most significant figure in the study is the rise in the number of students attending schools that have a white student population of less than 1 percent. Since the group's 2010 study, he said, that number has doubled to about 8 percent. "That's pretty stark," he said.